The rise of immune check-point inhibitors has fueled huge expectations in clinical oncology, especially in tumors with dismal prognosis such as melanoma and NSCLC. 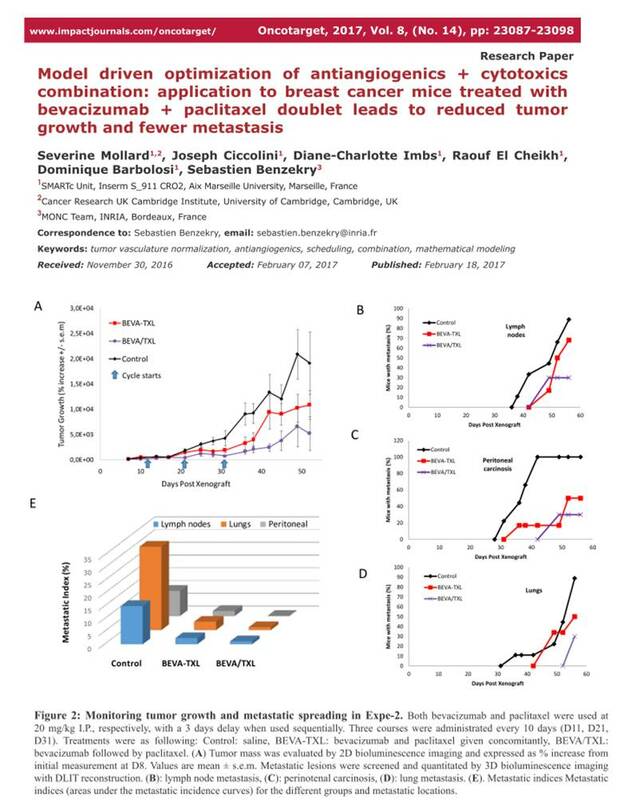 However, as the combinational therapy is now foreseen as the future of oncology, identifying the best modalities when associating several immune check-point inhibitors together, or associating immunotherapy with radiotherapy, targeted therapies, anti-angiogenics or cytotoxics, is particularly challenging because of the countless possible combinations to be tested. 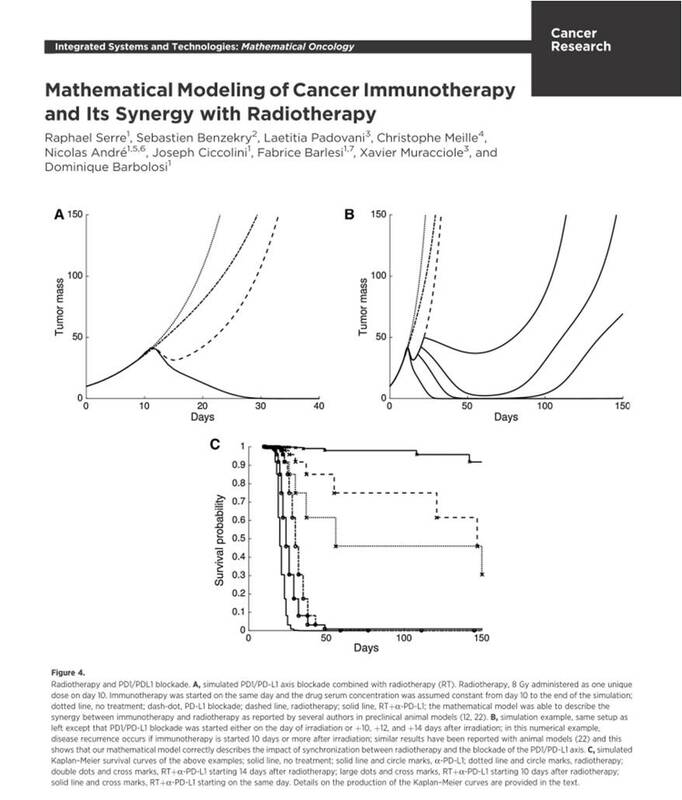 The SMARTc unit is developing a serial of mathematical models dedicated to determine the optimal features when combining immune check-point inhibitors with other treatment modalities such as radiotherapy or chemotherapy.